Russia's hybrid military forces attacked Ukrainian army positions in Donbas 35 times in the past 24 hours with two Ukrainian soldiers reported as wounded in action (WIA), according to the press service of the Anti-Terrorist Operation (ATO) Headquarters. The Russian proxies in the Mariupol sector mounted 15 attacks and were more active after dark. "The Russian occupation forces used 120mm and 82mm mortars and small arms to fire on our fortified positions near the town of Krasnohorivka. 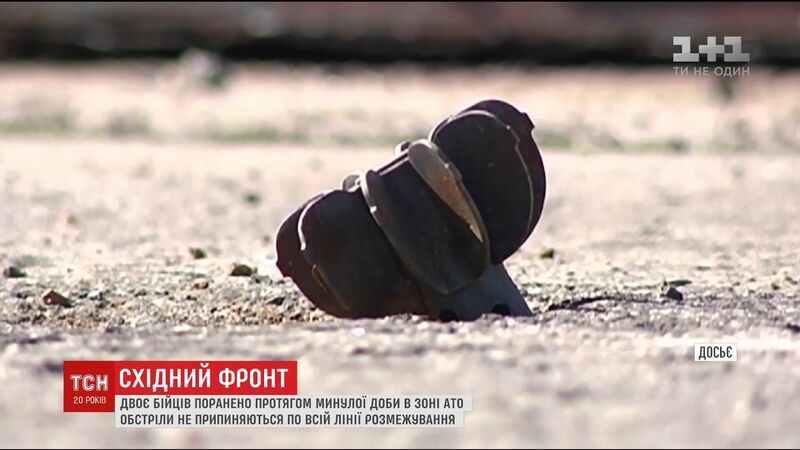 In addition, 82mm mortars and grenade launchers were used near the town of Maryinka. An enemy sniper was also active there," the report says. The Russian-backed mercenaries fired small arms and grenade launchers of various modifications near the villages of Shyrokyne, Vodiane, Pavlopil, Berezove, and Chermalyk. Additionally, they opened fire from guns of infantry fighting vehicles and 82mm mortars near Vodiane and Shyrokyne. In the Donetsk sector, the enemy was most active near the town of Avdiyivka. Read alsoUkrainian, Russian sides to JCCC agree on 24-hour "truce" in Donbas"In its southern and eastern outskirts, the invaders attacked our positions, using small arms and grenade launchers. Late in the evening, one of the Ukrainian fortified positions came under mortar fire, including from 120mm ones," the headquarters said. Furthermore, the enemy used small arms, machine guns and grenade launchers near the villages of Verkhniotoretske, Zaitseve, and Troyitske. Eight militant attacks were recorded in the Luhansk sector. "From 18:00 and until midnight, the enemy fired grenade launchers and small arms on the Ukrainian fortified positions near the villages of Krymske, Novozvanivka and Donetskiy. Moreover, an enemy infantry fighting vehicle attacked positions near Krymske," the press service said.